Wild for California Native Wildflowers! As some parts of the California desert are enjoying once-in-a-decade “super blooms”, it reminds me of the joys of our own native wildflowers here in the Bay Area. From “Baby Blue Eyes”, Clarkias and Gilias to “Tidy Tips” and Lupines, our local hillsides and meadows are a veritable carpet of colorful wildflowers starting in early Spring. 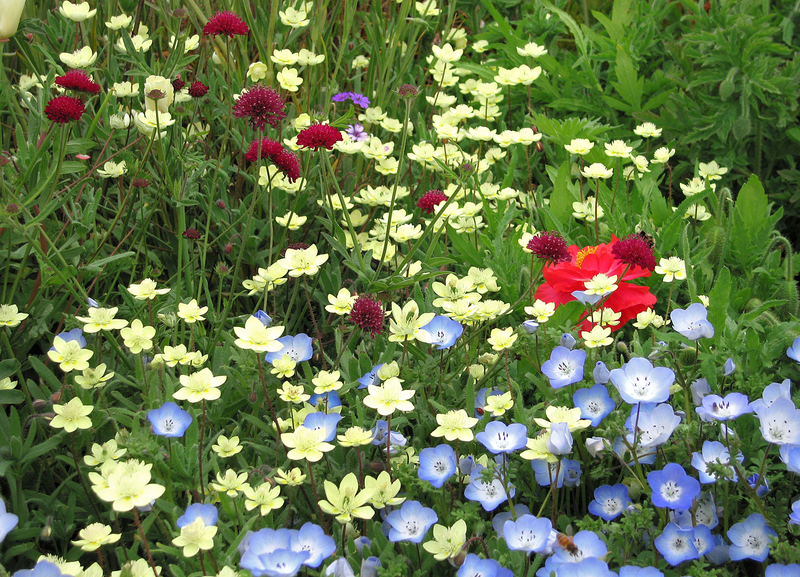 A sweet Spring scene with Nemophila menziesii “Baby Blue Eyes” and ‘Snow White’, Platystemon californica and Limnanthes douglasii. Native wildflowers play a valuable role in the life of pollinators, too – especially native bees and butterflies attuned to the timing of their nectar-rich flowers. This is also true when we add native annuals to our gardens. 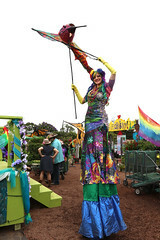 These sun-loving plants not only beautify our urban and suburban landscapes, but collectively provide a widespread source of nectar and larval foods for a bounty of native fauna. 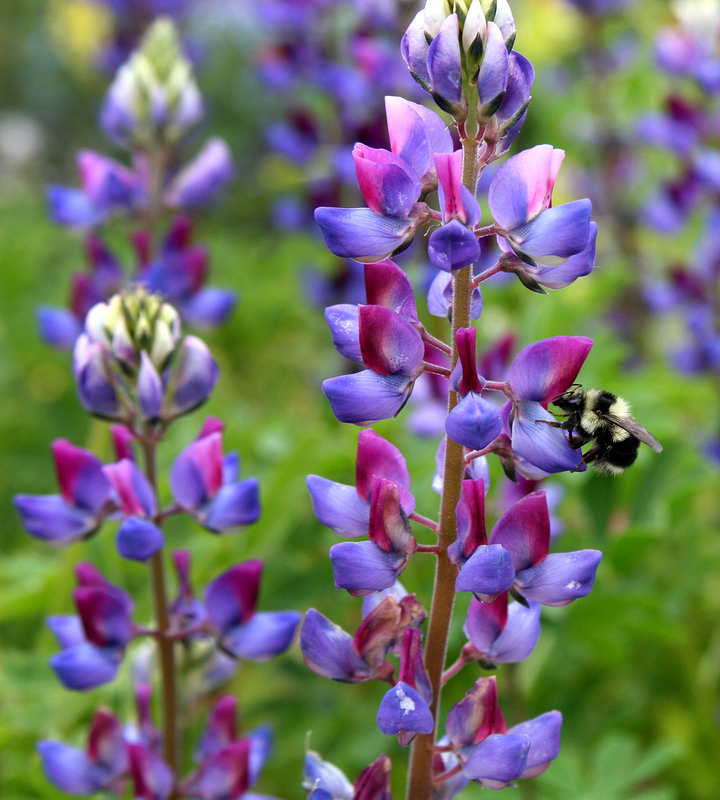 Bumblebees love Lupinus succulentus “Arroyo Lupine”! It’s easy to fold native wildflowers into your garden. 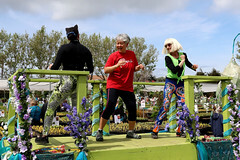 Here in the Bay Area, gardeners who got a jump on the Spring season by planting in Fall may already be enjoying the earliest blooms, but there is still plenty of time to plant and fill in bare spots with colorful, spontaneous additions. I always leave some space open as Spring approaches, knowing I’ll be adding my favorite wildflowers. 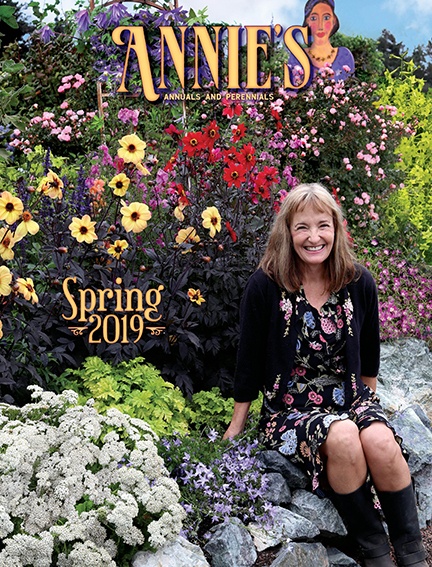 Most of these plants have a 3-5 month season, so you can use that space later for another colorful annual or perhaps an exciting new perennial. Many of our native wildflowers self-sow, too, so you’ll enjoy them year after year. 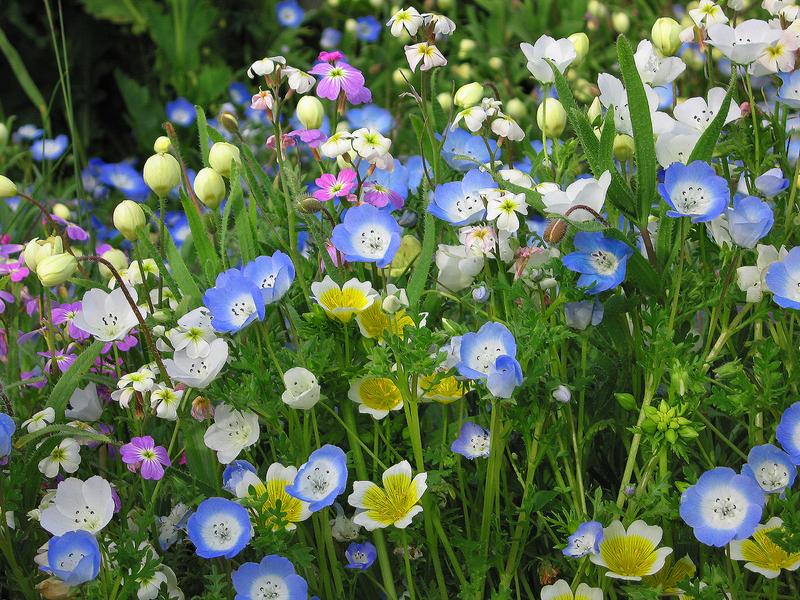 One of the sweetest Spring combos is Gilia tricolor “Bird’s Eyes” and Eschscholzia californica ‘Alba’ “California Poppy”. I also decide ahead of time that some of my annuals will reside in pots. I put nearly all of my perennials (native and otherwise) in beds, so they can get established and spread out. Planting annuals in containers not only saves valuable ground space, but it also gives you the flexibility to move your containers around for the greatest visual appeal. 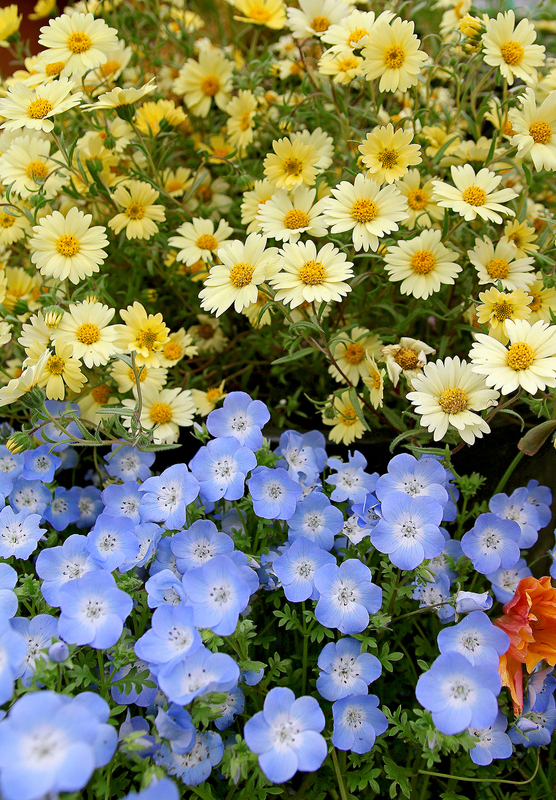 Layia glandulosa and Nemophila menziesii “Baby Blue Eyes” grow beautifully in containers and can be moved around to best effect. To maximize space you can plant early blooming Spring natives in front of deciduous shrubs like Philadelphus, Hibiscus, Oakleaf Hydrangea or Sambucus. One other space-saving tip is to plant annuals over bulbs, especially Summer bloomers like Dahlias, Lilies and Gladiolas. You’ll enjoy a burst of color in Spring, then as the flowers fade, the Summer bulbs will push through and offer their own delights. 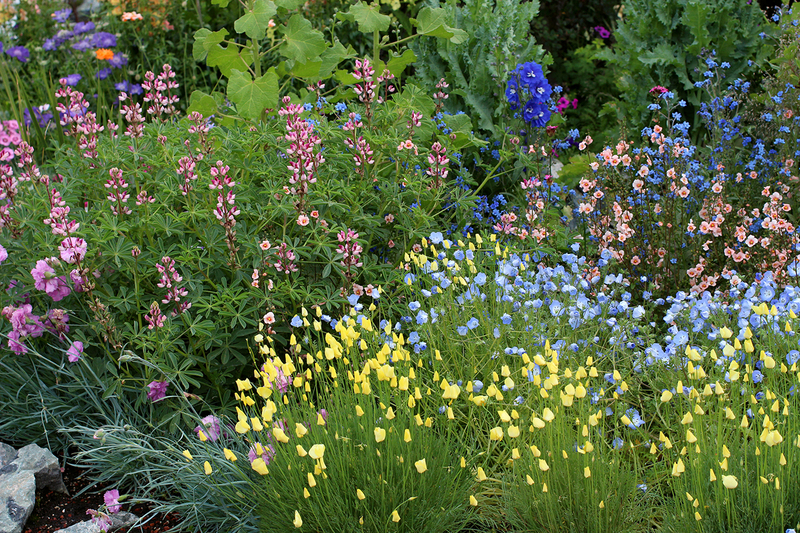 Fast-growing natives like Lupinus succulentus ‘Rodeo Rose’ and Eschscholzia caespitosa “Tufted California Poppy” are great planted in front of larger perennials or as a Summer bulb cover. With their wealth of yellow and blue flowers, Spring wildflowers offer two contrasting colors that look fantastic together. 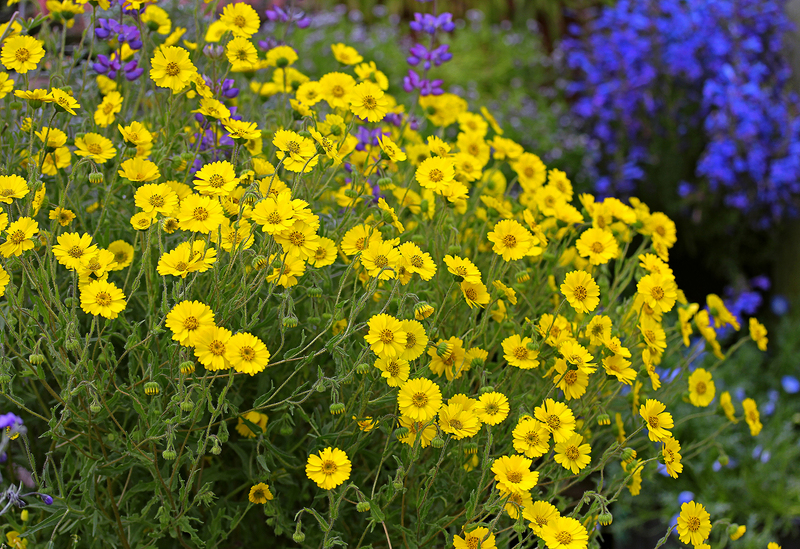 “Tidy Tips” (Layia platyglossa) boasts fragrant, lemon-yellow flowers tipped in white that are the epitome of cheerfulness. 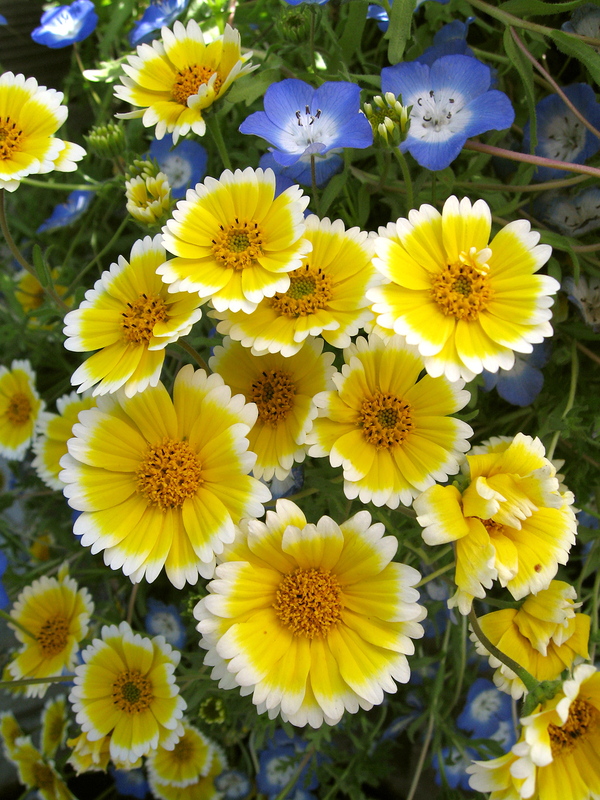 If there were garden awards for “Most Cheerful CA Native” surely Layia platyglossa “Tidy Tips” would win. Keep an eye out for the Checkerspot butterfly, which loves this flower’s nectar. 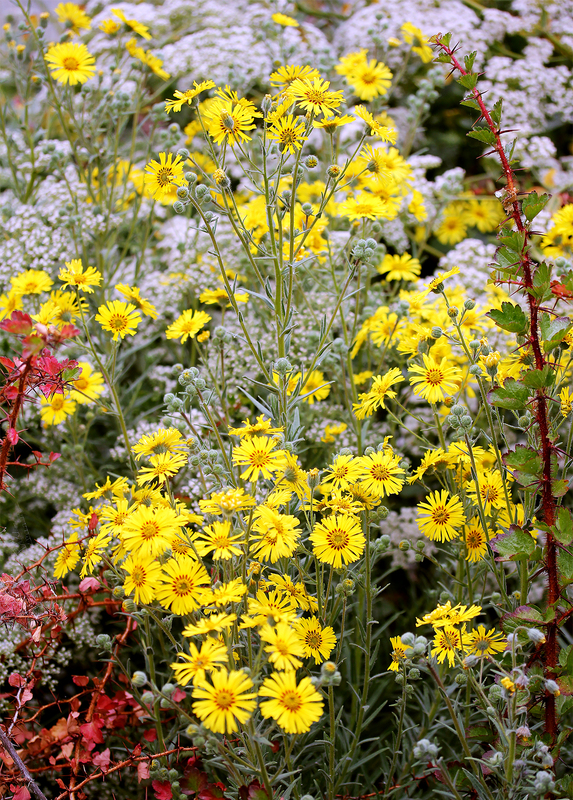 There’s also “Woodland Tidy Tips” (Layia gaillardioides), valued for its solid mass of #2 pencil yellow flowers that spill over a favorite container or a low rock wall. Layia gaillardiodes “Woodland Tidy Tips” smothered in blooms mingles with Lupinus succulentus “Arroyo Lupine”. 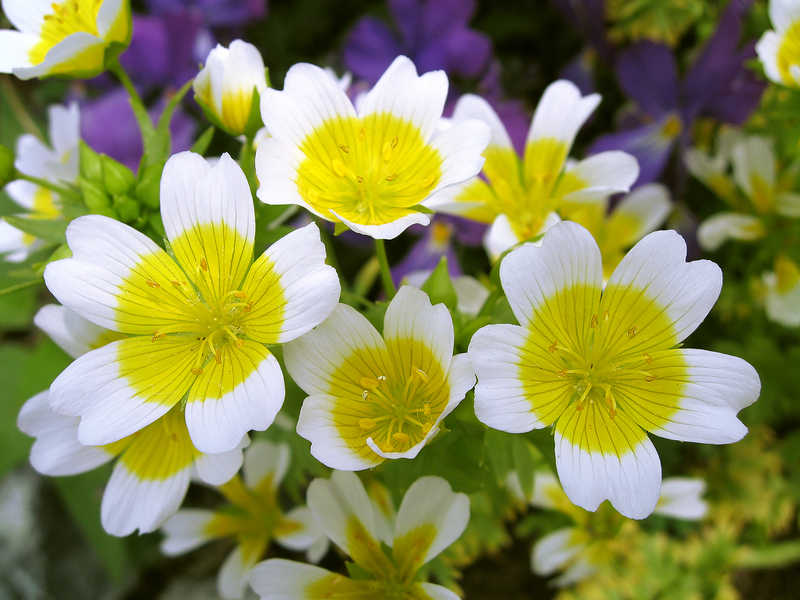 I like to think of Limnanthes douglasii as a kissing cousin to “Tidy Tips”. 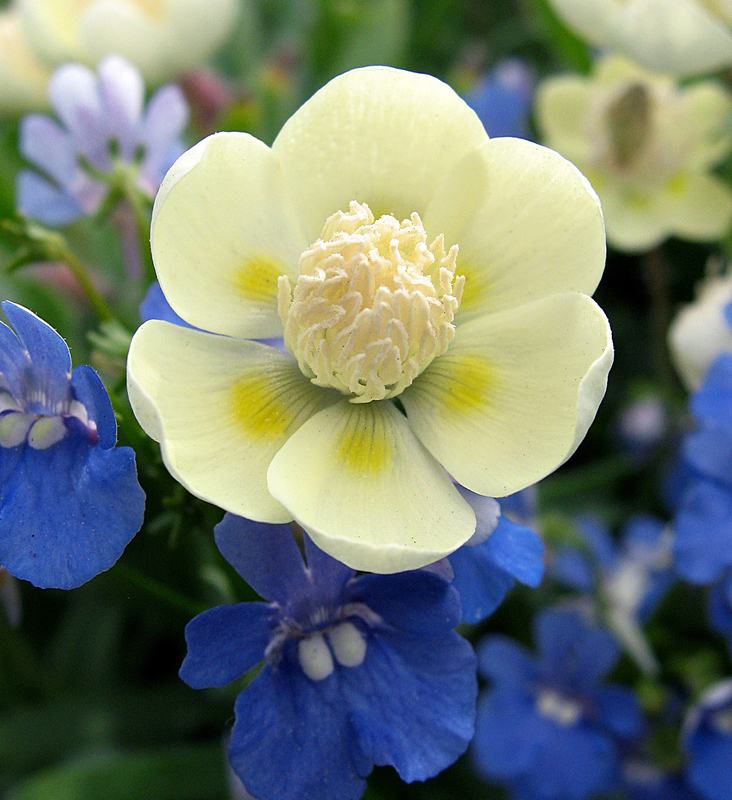 Featuring a never-ending fountain of open-faced, yellow flowers generously rimmed with white atop a dense, shiny, groundcovery mound, this aptly named “Meadow Foam” blends beautifully with all manner of blue flowers. Lemon yellow Limnanthes douglasii is sweetly scented. “Cream Cups” (Platystemon californicus) produce smaller, butter-yellow flowers with a central boss of flattened stamen filaments that make them look like water lilies that washed ashore. 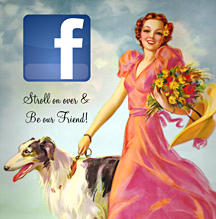 Charming and fragrant! Fragrant Platystemon californicus sports zillions of 1″ flowers atop silver, grey-green leaves. Self-sows when happy! Looks great here with red perennial pincushion Knautia macedonica and annual Papaver rhoeas ‘Falling in Love’. Cheerful “Cream Cups” make the cutest cut flowers ever. Speaking of fragrant, check out Madia elegans. 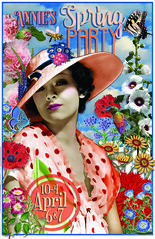 This hardy, drought tolerant and long-blooming sun lover is fashionably late, blooming mid-Summer to Fall. The large, daisy-like yellow flowers and the foliage have a delicious pineapple fragrance, all the more noticeable when the weather is warm. Pineapple scented Madia elegans blooms later than most native wildflowers, bringing sunshine to the Summer garden. Shown here brightening up native perennial Eriogonums and Ribes. Do the blues make you happy? They will if you’re adding any of the exciting true blue wildflowers available this time of year. Start with Phacelias, a group that should be every bit as well-known as Nemophilas “Baby Blue Eyes”. 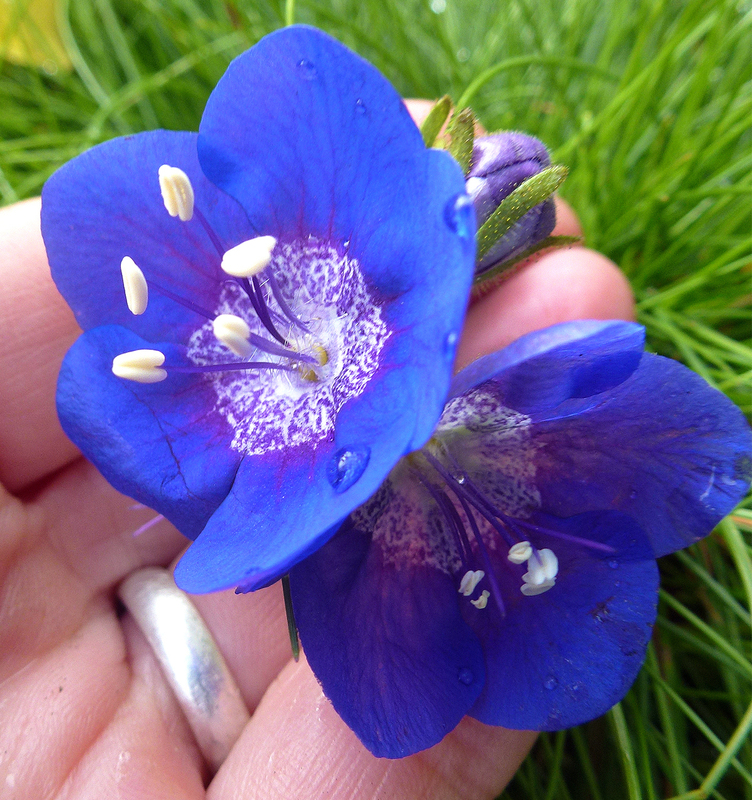 Their blue tones are darker and richer, especially stately P. viscida. 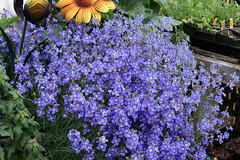 Showcasing 2”, electric-blue flowers with patterned centers, this 2’ tall, multi-branching native puts on quite a show. Electric blue Phacelia viscida will have all the bumblebees going wild! Primary pleasures! 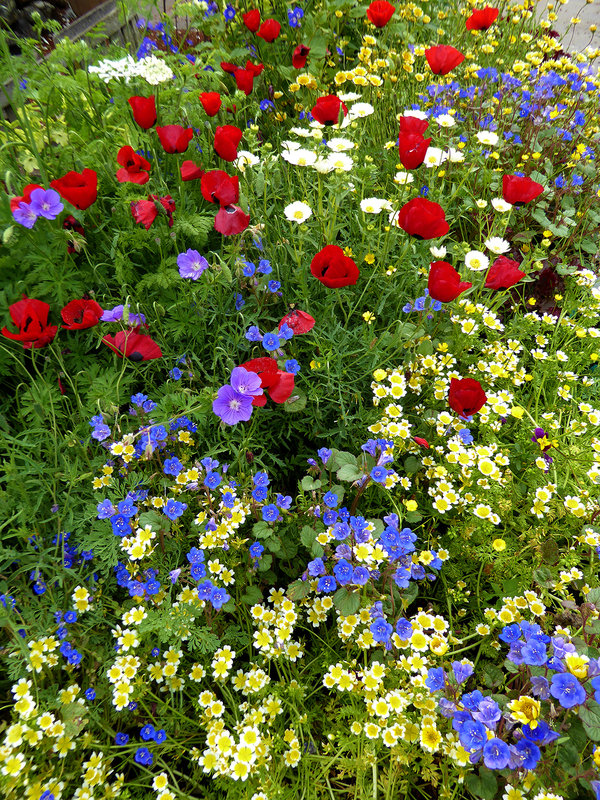 Phacelia campanularia “Desert Bluebells” and Limnanthes douglasii “Meadowfoam” pair fantastically with bright red Papaver sp. “Greek Poppy”. “Blue Thimble Flower” may seem like an odd common name but one look at the wealth of inch-wide round flowers of Gilia capitata and you’ll say “Oh, yes.” This annual forms a dense, small bush comprised of lacy, ferny foliage topped by a sea of purple-blue heads. Irresistible. 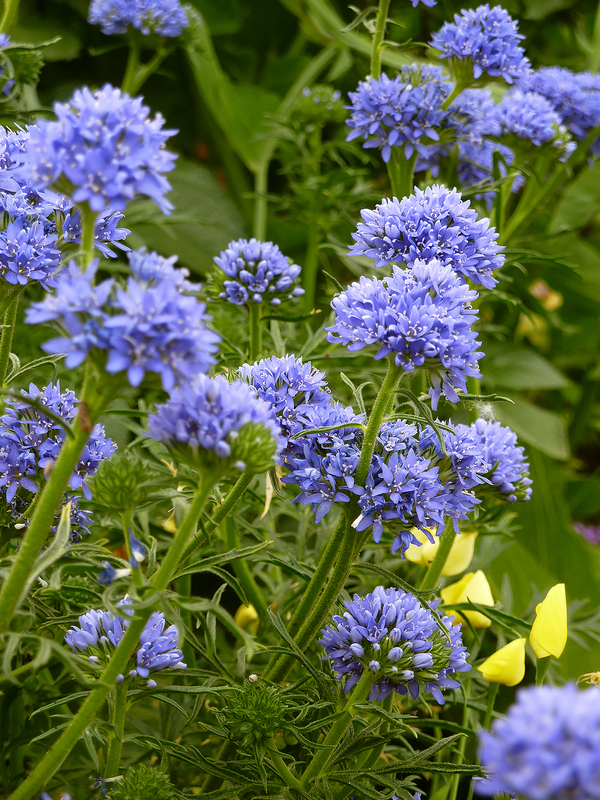 Gilia capitata “Blue Thimble Flower” boasts an extra long bloom season – and couldn’t be easier to grow. And lastly there is the justly famous “Baby Blue Eyes” (Nemophila menziesii). No need to go looking for this Nemo, the masses of robin’s egg blue blooms will be one of the first things you and passersby spot in your garden. 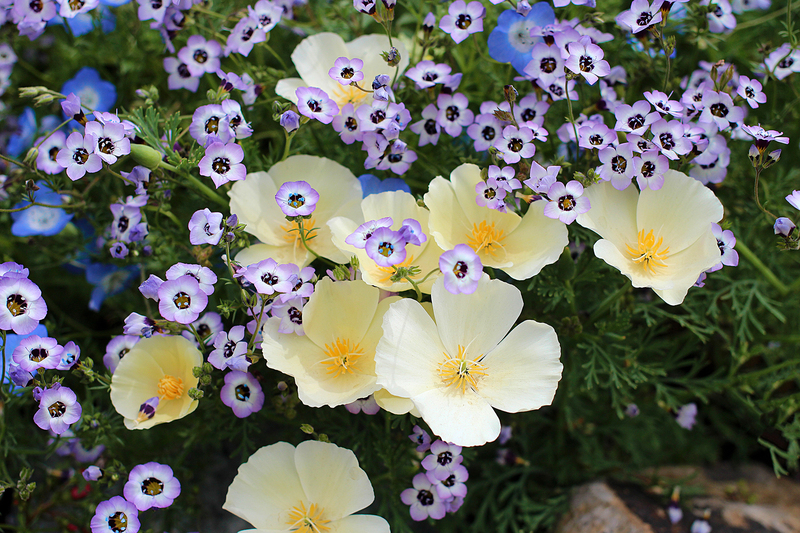 Another terrific spiller, it combines well with just about any Spring flower (especially any of the colorful selections of Eschscholzia californica), bringing a bit of sky into the earthly delights of your garden. 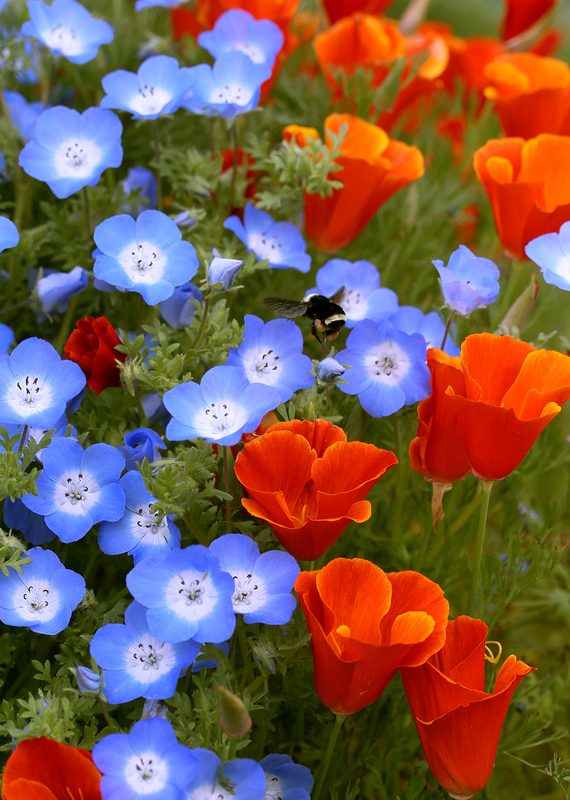 Nemophila menziesii “Baby Blue Eyes” and Eschscholzia californica ‘Red Chief’ appeal to bumblebees AND gardeners! Exquisite photos. Thanks for sharing. I GROW WILD AND WONDERFUL SEEDS AND I GET CUTTING OF EVERYTHING TO MAKE THEM GROW IN FLORIDA, WHERE CAN I GET BABY BLUE EYE SEEDS AND WILD FLOWERS. 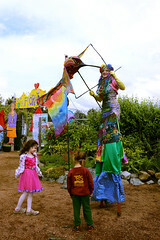 I LOVE TO ATTRACT THE MONARCHS AND BEES. Another option might have been politely asking the landowners for permission first.